To ensure the growth and sustainability of the Theatre’s program, please consider making a gift to its endowment. There are so very many good reasons for giving an endowment gift to Theatre for a New Audience. 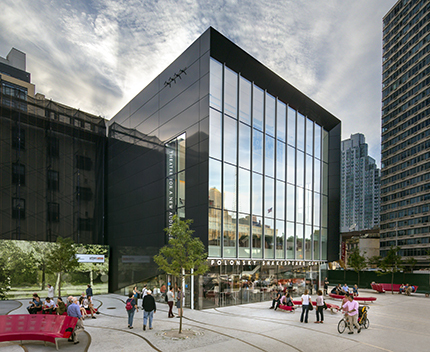 You already know and love Theatre for a New Audience and are so pleased by what already has been accomplished at Polonsky Shakespeare Center. You are inspired by our thought-provoking seasons of Shakespeare, classics and major contemporary plays that illuminate our times. You admire the artists in our shows, diverse casts who play for audiences that range from avid theatregoers to young people. You recognize that Theatre for a New Audience has global connections. We have an ongoing collaboration with the Royal Shakespeare Company, have toured nationally and internationally and played on Broadway. You value that we have the largest program introducing Shakespeare to New York City Public School children, that we serve more than 1,500 students each year and that we have served more than 130,000 students to date. 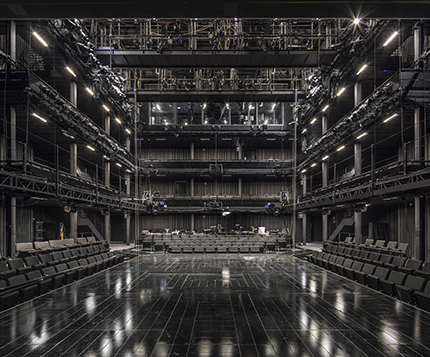 You want to invest in your community and are excited by the new heights that Theatre for a New Audience will reach in the Brooklyn Cultural District. You care about the environment and know that our home is a sustainable building and one of a very few Green theatres in the country. A gift to the Endowment: By providing a dependable revenue stream, the Endowment assures, over time, that we have adequate capital to maintain and expand our production capacity, education and humanities programs and artist training, as well as manage the operational upkeep of the building. The Endowment is essential to ensuring the long-term sustainability of the institution and to protecting this asset for generations to come. If you are interested in supporting our endowment, please contact us. A Naming gift: Naming is a wonderful opportunity to be recognized in perpetuity for your generous support…we can’t think of a better way to say “thank you!” Theatre for a New Audience at Polonsky Shakespeare Center has several exciting naming opportunities remaining, including the Box Office and the Mainstage Orchestra level. If you are interested in naming opportunities, please contact us. 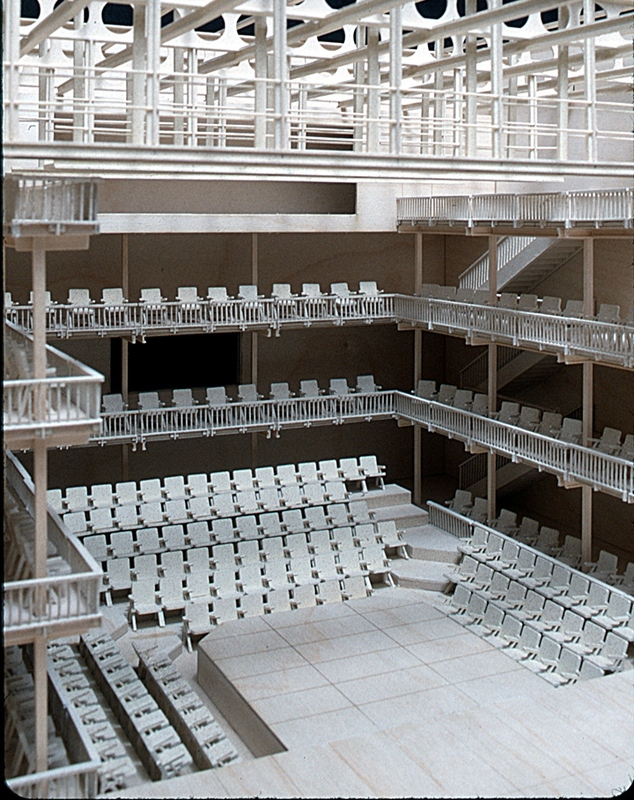 A Seat for Shakespeare: You can donate a seat for Shakespeare in your name, or in honor or memory of loved ones, or to commemorate an important anniversary or life event. Click here to download our online form and mail it to James Lynes at the address below! Name a seat in our Scripps Mainstage! Download the form here. Make a multi-year pledge for a larger gift: Please contact us. Gifts in the form of closely held stock, appreciated securities or mutual funds: we can walk you through this process; please contact us. Planned giving via Charitable Remainder Trusts, Charitable Gift Annuities or Bequests: These options are to be considered with your family and should be arranged through an attorney. We are happy to provide more information on these options; please contact us. 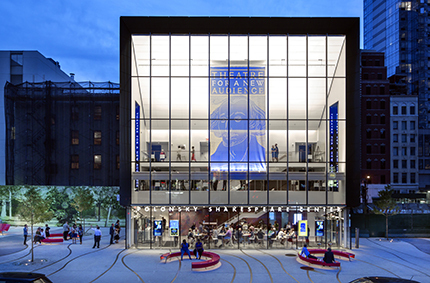 Pictured above: Polonsky Shakespeare Center, photo ©David Sundberg/Esto; The Samuel H. Scripps Mainstage, photo ©Francis Dzikowski/OTTO.